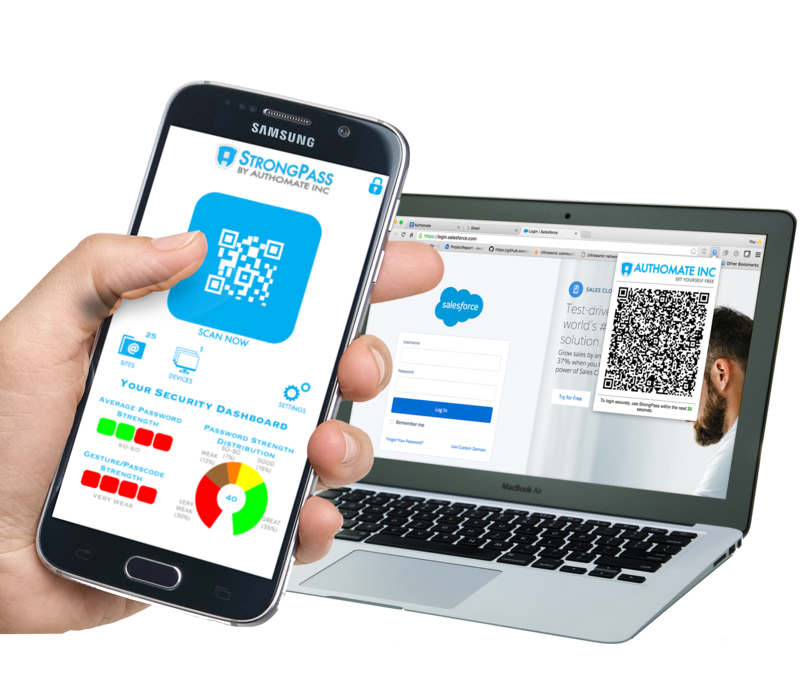 Authomate’s StrongPass Personal enables you to authenticate your identity with all of your sites and applications securely and quickly. It protects you online using your mobile device and and keeps all your passwords secure in your pocket. We live our lives online. We store our family photos in the cloud, share information with friends via social media, track our health and fitness data, and shop, bank, and work online. Given that you can’t control the data security strategies that companies choose to enact, what can you do to protect your online identity and assets? Authomate’s StrongPass Personal, through an easy to use interface, enables you to authenticate your identity with all of your sites and applications securely and quickly, removing the worry that a malicious actor is lurking on your mobile device, computer, or where credentials are passed via the Internet. This is accomplished through the use of StrongPass Personal app on your smartphone which orchestrates the movement of credentials during authentication away from malicious actors. 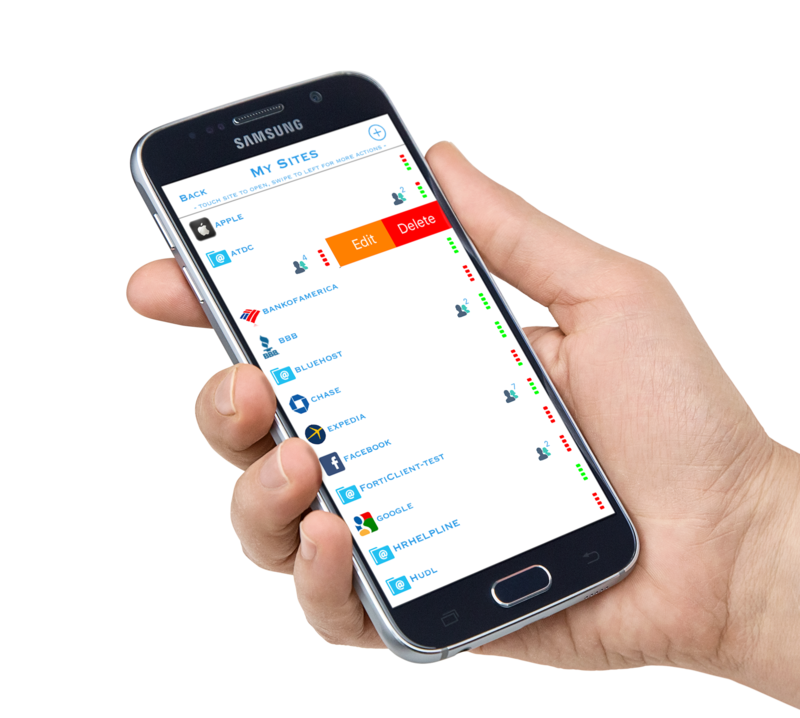 StrongPass Personal protects you online using your mobile device and one secure password.